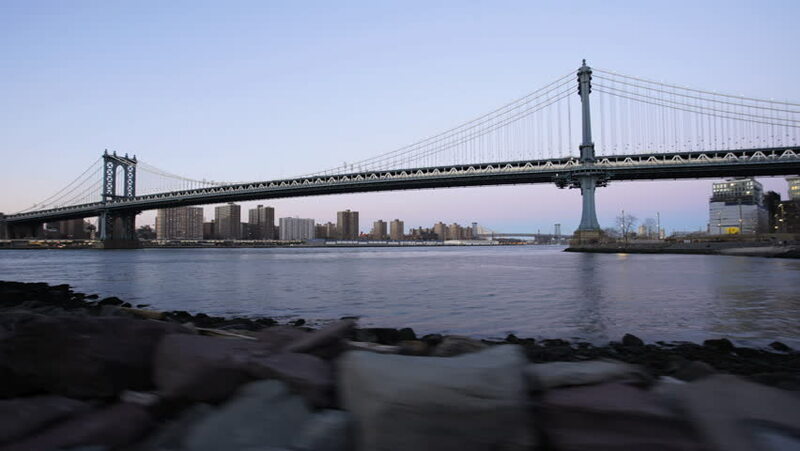 A moving, POV time lapse of the New York Skyline. hd00:27NEW YORK - CIRCA OCTOBER 2010: New York City skyline with the Manhattan Bridge circa October 2010 in New York, NY. 4k00:14Tokyo's famous Rainbow Bridge crossing the northern Tokyo Bay during day time. Tilt down shot.